(2011/RCA) 36 tracks, remastered by Vic Anesini. Contains also the 'Something For Everybody' album plus bonus tracks. Digipac w.24 page booklet. A Dream Set! 17 Are You Lonesome Tonight? 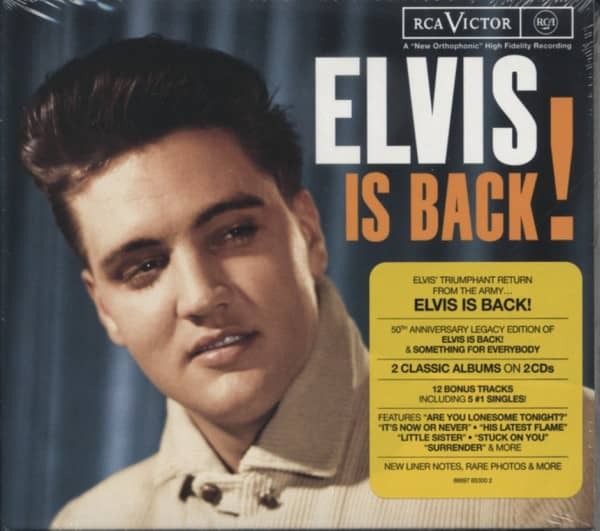 Kundenbewertungen für "Elvis Is Back...plus-Legacy Edition (2-CD)"